When you hear of flowers and lace put together you probably think of a wedding or a nice country gift shop, right? How about creating your own little gifts at home for yourself or the ones you love? 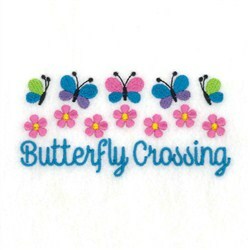 You can do this in the comfort of your own home by making pretty doilies or embroidering cute garden phrases. 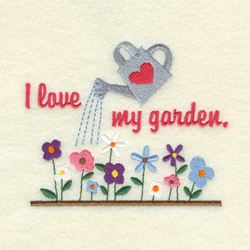 Here are three design packs that can help you out with those projects: Lace Flower Doilies, Garden Sayings & Garden Sayings II. All of these packs are at a discount price. Remember the pretty doilies that your Grandmother used to tat? Here is a new spin to all those hard working hours she used to spend making those doilies you remember seeing all around her house. 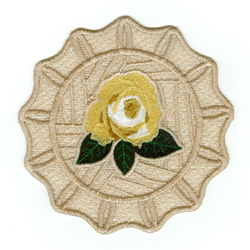 Now you can simply embroider doilies on your machine with a variety of beautiful flowers in the center by using Ultra Solvy, or any other thick water soluble stabilizer, and using normal free standing lace procedures. You can embroider a bunch of orchids or bushes of roses, just to name a few, with these Free Standing Lace Flower Doilies. Now, I am sure that same Grandma had cute wall hangings or shirts embroidered with fresh garden phrases. Why not do the same for yourself? 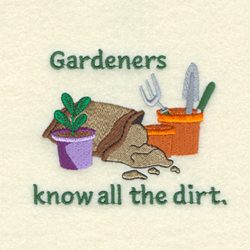 These new garden sayings would really be cute on all those simple t-shirts hanging in your closet. Do you need a fresh new hostess gift for that party next week? Why not make a framed picture to give as your gift using one of the designs in the Garden Sayings or Garden Sayings II? 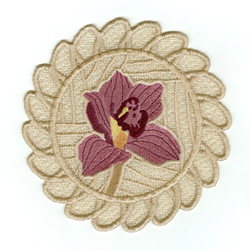 So get started and soon you will have a whole bunch of flower and garden embroidery projects that your Grandmother would be so proud of!